Order Dr. Weiss's Newest Book Now! Husbands and wives were made to become lover spouses through the journey of marriage. 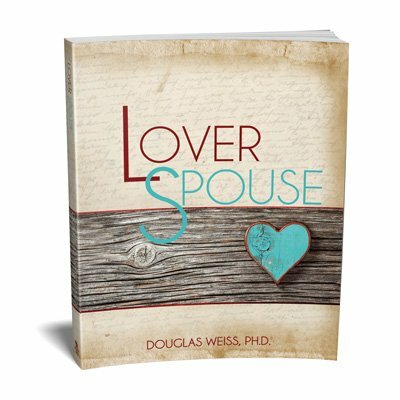 Explore this concept in Dr. Doug Weiss's new book - Lover Spouse. Take hold of the promises. Practice the exercises. Be a lover spouse. What Is A Lover Spouse? Love is important in marriages. You may think you are a kind, loving, thoughtful wife or husband, but are you a lover spouse? Are you embracing the role God has called you into in your marriage? Lover spouses are people who bring love into their marriages the way Jesus taught us to love. The lover spouse is someone who stays a lover their entire marriage. In short, it is loving your spouse like Jesus loves. We all have preconceived ideas about what a good marriage partner is or isn't. These paradigms are usually developed from a number of external influences including our parents, our experiences, and relationships that have affected us. It is important to understand the difference between paradigms which come from worldly influences and the promises of marriage which God has called you towards as a lover spouse. Being a lover spouse is something you must intentionally choose to be, understand, and embrace as you enjoy loving your spouse and experiencing marriage as God intended it. Become the lover spouse you were made to be.